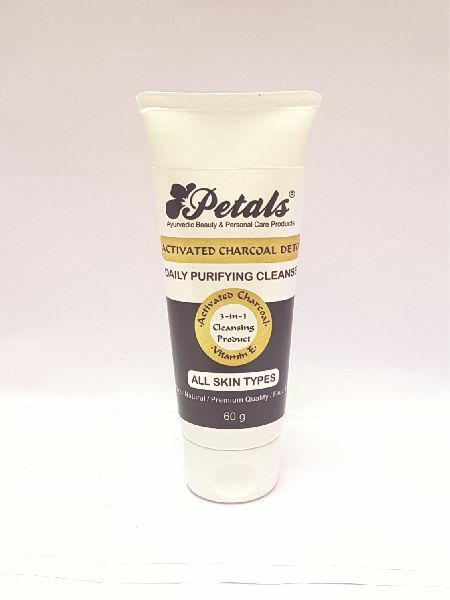 Petals Charcoal Facial Scrub suitable for normal to oily skin, helps in exfoliating the skin while reducing excess oil and removing black-heads and white-heads. A dual-purpose cleansing and exfoliating scrub that blends natural Vitamin E Oil, Walnut Shell Powder with activated charcoal. Highly effective, the mineral-rich, concentrated formula foams on to refine and unclog the skin and add instant moisture, leaving skin feeling soft and comfortably clean. Rinses off with warm water.